Role of Professional Organisations In Indian Optometry! Role of profession organisations is evolving, specially in Indian Optometry. The face of eye care delivery in India has changed in the last few decades, wherein Optometry has gained a lot of importance. Optometry in India, as a profession is quite old, and was known in different nomenclatures. In the past decade a lot of development has been happening within the profession in order to streamline, standardize, recognize and regulate it. All health care professions stand on the three pillars of educational, professional and regulatory bodies. The Indian Optometry Association (IOA), the oldest optometry body and a national one, during a professional conference in Agra, felt the need for an educational body, which led to the formation of the Association of Schools and Colleges of Optometry (ASCO) India in August 2006. The Indian Optometry Federation (IOF) was founded in 2011 and the Optometry Council of India (OCI) in 2012, under the guidance of the late Prof Brien Holden – both major milestones in the field. At present, ASCO is the educational body, IOF is the professional or political body and OCI is a self-regulatory body, for Optometry in India. As the profession of optometry is not regulated yet, by the Government of India, formation of these organizations helped the profession to organize themselves and initiate talks with the government to recognize and regulate the profession. Positive attitude from optometrists all over India helped to bring about these changes in the profession within a short span of time through their immense perseverance and patience. However, as the changes took place during a very short span of time, there was confusion on the roles of these different bodies within the fraternity. One of the ways to explain the different roles of the organizations is hearing from people who are themselves into the profession since long and have witnessed the changes. A set of questionnaire was developed and circulated to School Heads, Corporate, Retail owners and Private practitioners/clinicians, who in their own capacity had replied. An open ended questionnaire was sent to 24 professionals and 11 responded. The respondents were categorized into educators, private practitioners and industry professionals. There was one respondent from the government sector as well. There has been a tremendous change in organizing optometry as a profession in the past few years. Do you think students are aware of these changes? Government employee: Yes, most of the students are aware of the struggle that we started long back for the recognition & regulation of Optometry. The students have been active in providing their suggestions & feedback in different times. The students have enrolled themselves in state association for that purpose. Private Practioner 2: I really doubt if in initial years students really are aware or concerned of happenings in our profession. However during the final year student’s start taking interest in knowing more about opportunities both in terms of further studies and job related. Its during this period if not earlier that sufficient information about our profession should reach in an organized manner to them .This will not only give them a sense of satisfaction that there are various bodies who are taking very active interest in the profession and it would make sense for them to get aligned with such organizations at the appropriate time. Educator 2: I cannot answer this question for the whole of Optometry student community but certainly at the Bausch & Lomb School of Optometry, we educate the students about all the changes that have happened and are happening to organize the profession of optometry in India. Industry professional 3: Students have a tremendous network amongst themselves and have been receiving information from several quarters, some of the information may not be correct. What do you think should be done to educate the students and young optometry population better? Educator 1: The students must be updated about the different activities that are done by IOF, OCI, ASCO, IVI & the respective state association via mails or regional meets once in 6 months at least by the representatives of the above mentioned organizations. Private practioner 2: The bigger challenge I feel is to engage the young optometrists once they join main stream profession. Time constraints of independent practitioners coupled with employed optometrists who are at the mercy of their management don’t get to attend various events and as years pass this become history. With fast advancements many practitioners are not equipped with updates in our field and this is a matter of serious concern. The Optometry council of India credit point system hopefully will change this as there will be a sense of obligation that will prompt the practitioners to attend CE programs. Well spread out and structured CE programs all over will ensure optimal to high attendance. What do you think is the role of federation and do you think individual optometrist directly benefit through the federation? Industry professional 1: While we speak of a federation as a term, it refers to a group of organizations. An Association, in contrast, refers to a group of people or groups of people uniting for a common purpose. Individual Optometrists cannot directly become members of the federation, however they are directly affected as their respective state associations are members of the federation. Once the profession gets regulated the Optometrist would get the status and that respect they rightly deserve. The quality of eye care delivery would surely improve as the Optometrists would be accountable which currently though is better than what is used to be earlier, is unfortunately not the best yet. Industry profesional 2: I think Federation is the basic reflection of a professional group, with people of uniform thinking and aspirations. That is what I, as an Optometrist, also take message from the name “Indian Optometry Federation”. It is “The umbrella of Optometry profession” in the country facilitating work ethics, standard development, knowledge source etc. which in fact represent Optometry in National and International forums. As of now, the creation of Value of Federation among individual Optometrists is in progress. 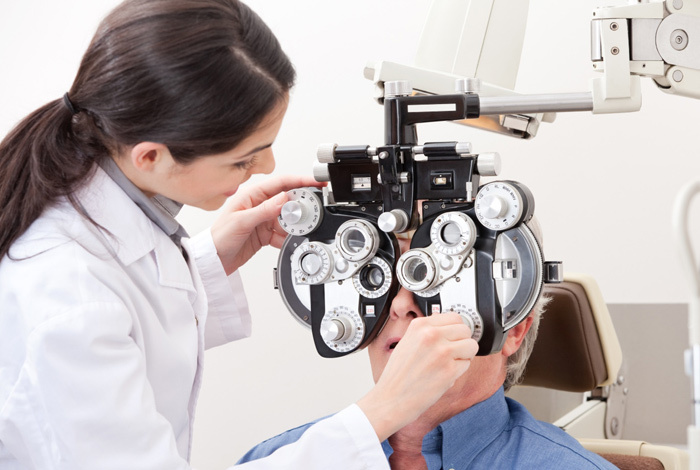 Once the level of connect with individual optometrist increases, Optometrist will start seeing benefit. What do you think is the role of the council and its Importance? Educator 2: I would like to compare IOF and OCI to the AOA and AAO of the US. The Federation must be a lobbying body that will fight for legal rights of the profession and make representations of the profession in various governmental and non-governmental bodies. The Council would regulate the profession by setting quality standards and ensuring that the legal rights that are lobbied by the federation are upheld through strict quality measures. Licensure of optometrists, CE credits for various programs conducted by institutions across India are all under the ambit of the Council. Students may not know the importance of a self-regulatory body (as opposed to a government regulatory body) and it may be unfair of us to expect them to understand these nuances. But, it will be good for them to know that somebody is governing and regulating the profession – that’s more important in my mind. Educator 1: Council is our voice. It is the major weapon for our fight. The students are well aware of this fact, however they still will need some time to understand that the battle for regulation through a government council, is going to be tough & they need to keep faith and patience. It is not the students but the private practitioners & optometrists in MNCs like GKB, Lawrence & Mayo, Titan eye plus etc who need to understand the importance & role of OCI. The schools are not an issue because the faculties are there to counsel them. Educator 4: Council should be governing body to define and regulate the scope and practice of Optometry in India. It should ensure that our profession is standardized across the country and practiced ethically without allowing any leniency. It should be powerful enough to take regulatory actions. This way the qualified members feel protected and the common public is secured that their eyes are in safe hands. Every health care profession needs a regulatory body. This is in the interest of the society as well as optometrists. It empowers the professionals and prevents malpractice. Youngsters should be made aware of the different scopes of Council and Associations – difference between regulation and development. Both these wheels have to work simultaneously to benefit the profession and public. This has to be inculcated at a very early stage when their minds are young and fresh. What do you think is the role of national and state associations? Educator 4: National Association should work on knowledge and skill up-gradation of optometrists. This can be done through CE, seminars and conferences. It should look at the public health issues and how optometry can help the larger social cause. This eventually will give optometry identity and recognition in society. The political advocacy has to go hand in hand with on field work. Eventually every optometrist will feel a part of a larger community, feel protected and the self esteem will enhance. Ideally the state associations should be the extensions / hands of the national association. They should be completely aligned with the national body. Industry professional 1: The national associations though were having a similar agenda all these years, and have been individually approaching the authorities in their own capacities. All associations had members with different professional nomenclatures, with obviously different levels of education. The authorities were left confused. The result was that there was no positive outcome of all the efforts put in. That was the precise reason why all the association got together and decided to come and join a common platform and the IOF was therefore born. Private Practioner 1: National association should be the supreme body for Optometrists all over India. The office should connect with the state associations and work towards the betterment of the profession. State Associations should look after the needs of that particular state including public awareness about Optometry, community services, and interests of its members. It should serve as connect between the member and National association. How do these organizations (associations/federation/council) help a graduating optometrist in the profession? Educator 3: All students should register with Association as well as in Council. The council will help by having a live register of all optometrists registered in India and association helps by skill up gradation program (CE program) which benefits a fresher as well as experience person in a particular area of Optometry. It also helps in developing a network in the field of Optometry. (Educators, Practitioners, Companies). Optometry Council of India, through its CE credit points, reminds us to collect academic points which motivate to attend more conferences, seminars and workshop through which knowledge up gradation happens. All the bodies have different and important roles to play for developing the profession and reaching greater heights. Federation is the common political umbrella, State associations are a connect between the individual state optometrists and the federation, ASCO is for development of schools and faculty and Council is for regulation. Overall, the responses from the eminent and renowned optometrists engaged in different areas of specialisation made it clear that the image of optometry as a profession is changing rapidly and should soon be a better recognised, more regulated and much sought after profession in India. Miss Paula Mehta, has completed her Bachelor of Optometry in the year 2006, from NSHM College of Management and Technology, West Bengal. She is also a Fellow of ASCO in dispensing optics. She has an overall experience of 10 years in the field of retail operations, team building, training /coaching and dispensing spectacles and contact lenses. Her expertise’s in training, coaching and preparing new hires on selling skills and proper dispensing of spectacles. Currently she is associated with Optometry Council of India and holds the designation of Operations Manager and also, is a Training Head for a Bangalore based optical retail chain.